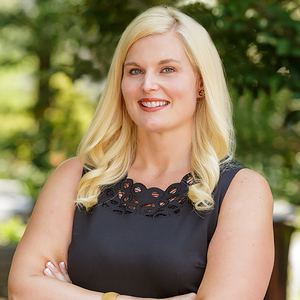 Megan Meekin is a Montgomery County native who has spent the past five years working in Chevy Chase and a lifetime getting to know the DMV. Growing up in a family of architects, contractors, mortgage consultants and real estate agents, she has also spent a lifetime in the familiar realm of real estate. Now a real estate agent at Compass, Megan puts her vast knowledge of the DC metro area and intuitive understanding of real estate to good use. She is passionate about providing her clients with excellent care and top-notch service as she guides them through the home buying and selling process. Before joining Compass, Megan spent five years as a physical therapist assistant. She loves to run and spend time with her family. Megan currently lives in Rockville, MD, with her husband James.